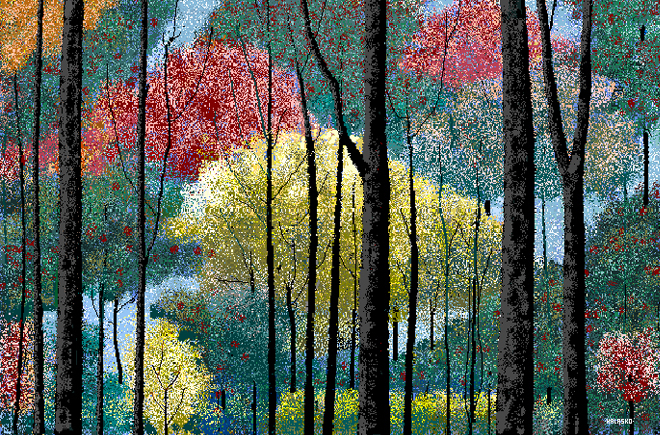 Hal’s work has been inspired by artists including Edward Hopper, Charles Burchfield, and Paul Klee; lately, he has come to appreciate impressionism, and experimented with ways to adapt its thin, layered brushstrokes with an 8-bit twist. 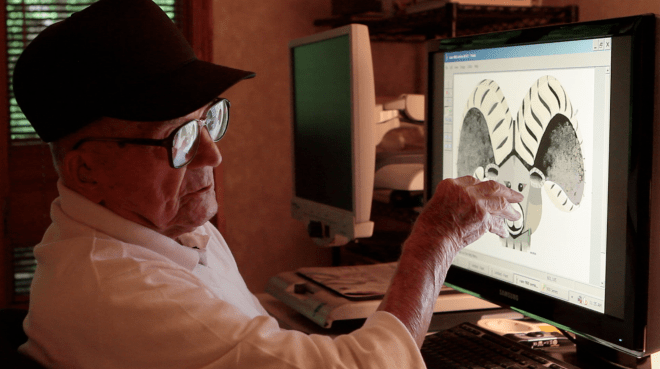 While he initially didn’t realize that his digital paintings could be printed, he now has a website selling 16” x 20” prints of eight different works; he may soon begin printing on canvas as well. Asked if he thinks about his paintings a lot, Hal laughed, “that’s all I do.” He says he has “enjoyed every minute” of his work, including having his story told as a documentary. Since the video was posted on Vimeo last month, it has since tallied 1.2 million plays, reaching viewers in Poland, China, and South Korea. This entry was posted in Uncategorized and tagged ageism, art, computer, interests, paint, passion, will. Bookmark the permalink.